Paul Rodriguez’s seventh pro-model receives a new colorway in the form of University Red. Taking cues from the classic Nike Dunk silhouette, the Nike SB P-Rod 7 puts emphasis on impact protection — making good use of the Lunarlon midsole — and comfort — via the internal sockliner. 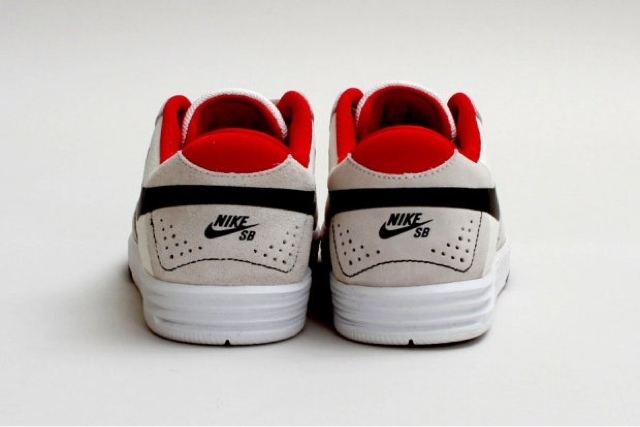 White and sail covers the majority of the upper while university red lines the inside of the sneaker and can been seen on the collar, heel, and tongue. A black ‘Swoosh’ completes the color arrangement. Retailing for $90 USD, the Nike SB P-Rod 7 can be found over at the CNCPTS online store.